Many friends and people with ALS have asked me to post my ALS thesis and more details about my journey. 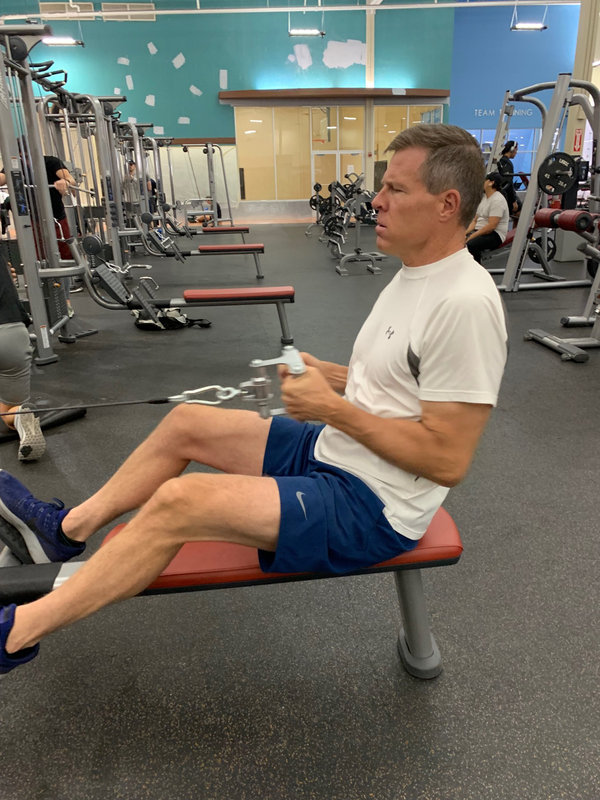 My muscles began fasciculating in late November of 2017, starting in my left arm in the tricep and over a few weeks the twitches spread to most of my left upper body. Over a two-month time period the fasciculations spread to my right upper body and then to my lower body. I was literally constantly quivering/twitching all over my body, with no control of such. I self diagnosed that it was likely ALS (40% chance was my prediction) in late January 2018. After seeing a neurologist and having an EMG and then seeing an ALS specialist and having a second EMG, I was officially diagnosed with ALS on May 10, 2018. Other symptoms such as cramps, muscle spasticity, and muscle atrophy in the left tricep had been going on for two to three years prior to November 2017. However, these prior symptoms were progressing so slow that I never considered ALS as a possibility. But after November of 2017, when the fasciculations started, the progression began to move very quickly. 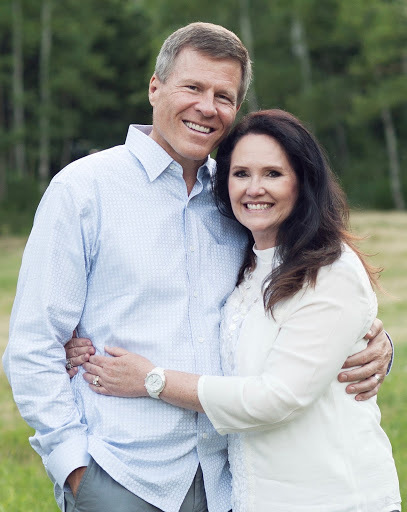 My ALS doctor at the University of Utah, ALS Clinic, suggested that if I am a typical 53-year-old with ALS, I would likely have two to four years to live from the date of the first symptoms. I was also told that I had an ALS subtype called Progressive Muscle Atrophy (PMA), which results from lower motor neuron death. ALS begins with various motor neuron deaths, but the end is always the same—death of all motor neurons and ultimate loss of control of all muscles including voice, swallowing, and breathing, but the person still feels all the itches, pains, cramps and such. This was a horrific shock to be told this. One ALS doctor said to me, “You hit the jackpot. This is the worst diagnosis a doctor can give a person.” This statement, while callous in its lightheartedness, I think is factually accurate. Amyotrophic lateral sclerosis (ALS), also known as motor neurone disease (MND) or Lou Gehrig’s disease, is a disease which causes the death of neurons controlling voluntary muscles. ALS is characterized by stiff muscles, muscle twitching, and worsening weakness due to muscles decreasing in size. The cause is not known in 90% to 95% of cases. The remaining 5–10% of cases are inherited from a person’s parents (called Familial ALS). About half of these genetic cases are due to a few specific genes. The underlying mechanism involves damage to both upper and lower motor neurons. There is no known cure for ALS. A medication called Riluzole may extend life by about two to three months. Non-invasive ventilation may result in both improved quality and length of life. The disease can affect people of any age, but usually starts around the age of 60 and in inherited cases around the age of 50. The average survival from onset to death is two to four years. Most die from respiratory failure (Wikipedia). Prior to being diagnosed with ALS, I was researching and reading about ALS and other autoimmune diseases. I quickly learned that stem cell treatments held the most promising hope for arresting or even reversing ALS. So at the time I was diagnosed, I asked my ALS doctor his thoughts on stem cell treatments. He responded, “There’s not a shred of evidence that stem cells work. 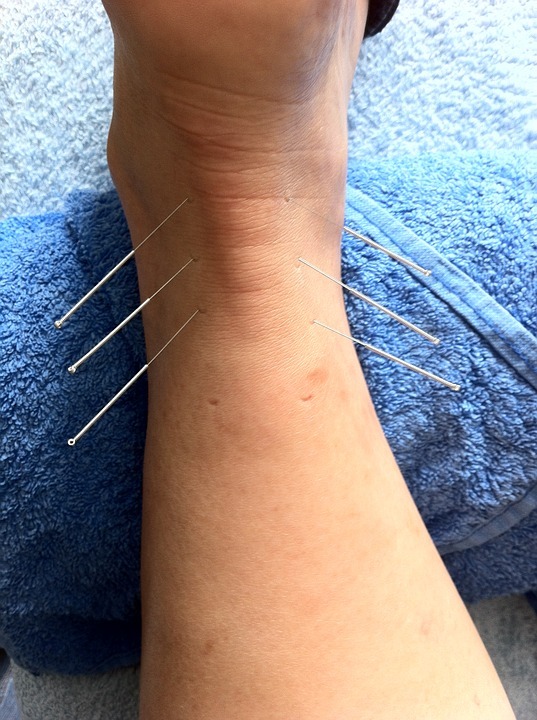 Don’t waste your precious time and money on that” (nor on any other alternative treatments). Not “proven” to cure ALS would have been a more accurate statement. I understand that he may have been trying to get me to face the fact that I have ALS and to prepare my affairs for my ominous future. However, I very much disagreed with his statement. The clinical trials and studies that I had read were compelling to me and I felt that there was a lot of hope with stem cells to at least slow autoimmune disorders, including ALS. I was already a very determined and driven serial entrepreneur. 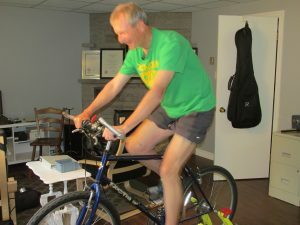 My new health reality, coupled with his statement, lit a fire in me to take my ALS health journey and medical research and treatments into my own hands. I was not going to do simply sit and wait to slowly die, like so many do.. The science, studies, and clinical trials with stem cells demonstrated significant benefit to people with autoimmune diseases. Frankly, I was extremely confident that there are many things I could do to live longer and to at least slow the progression of my ALS. 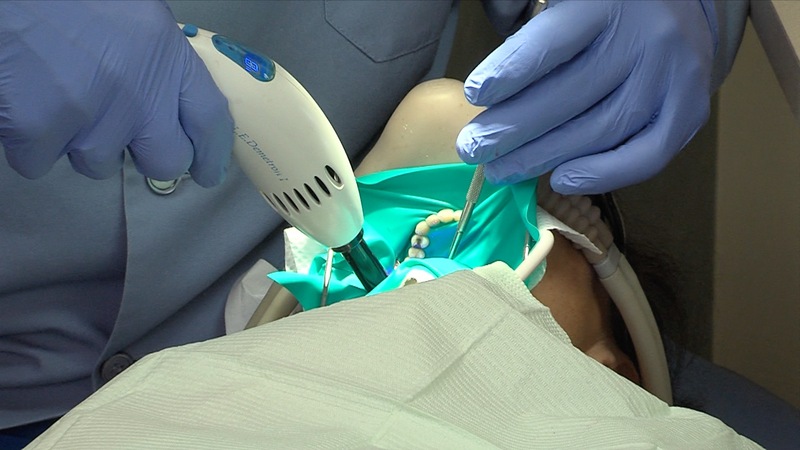 There have been 40 documented and certified ALS reversals to date. The neurology medical world largely focuses on the genes, which are a foundational part of this illness. However, the scientific data is compelling that environmental factors such as stress, toxins, lifestyle, immunizations, bacteria, protozoa, and other factors are influencing, triggering, and/or exacerbating ALS. Within 24 hours of being diagnosed, I booked a flight to Florida to receive my first stem cells. 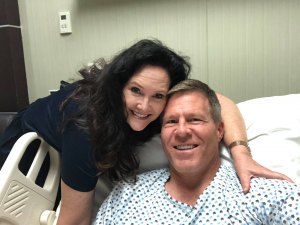 Five days after being diagnosed, I flew to Florida and had my first stem cell treatment—5 million umbilical cord stem cells injected intrathecally via a lumbar puncture. 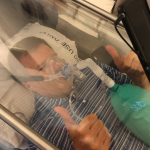 I also did five sessions of hyperbaric oxygen treatments that week. 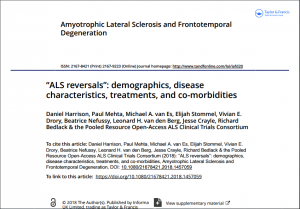 I made it my mission to intensely and profusely read ALS clinical trials, studies, and research, as well as study protocols and learnings from ALS patients who had slowed the disease (and the 40 who had reversed it). I read clinical trials and research about other autoimmune disorders and gathered transferable learnings from such. I also began developing a protocol of supplements and a treatment plan. Note, however, that I am not a doctor, scientist, nor a chemist, and I have not been medically trained in any way. But I know how to source and improve on existing processes and products. That is what I’ve done in founding and building 10 successful companies—I source and improve on the status quo of the product or process that I’ve gone after. I make it better, and I do so faster and with more intensity, drive and focus than the competition. I began doing a similar process with my ALS, improving my ALS condition, and seeking a cure. ALS, effectively became my new business. Every single day, even on weekends, I studied, researched, and self-treated. Over the first seven months after my official diagnosis, I read more than 27,000 pages of research. My goal was to cure my ALS and if I failed at a cure, to live 20+ years instead of 1½ to 3½ years. ALS has many contributors, ignitors, and enhancers. First, a metaphor: Imagine your DNA to be akin to a suspension bridge. My DNA may have only two cables on one side, like the bridge (Golden Gate) on the left above. 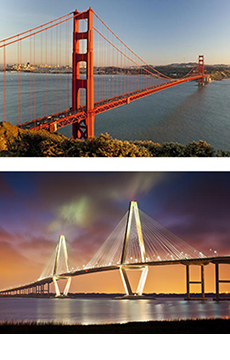 Yours may have many cables like the bridge on the left below. When “stressors” weaken or break one of my cables, the bridge begins to collapse. With yours, you have some backup cables and thus the same damage/stressors do not collapse your bridge because of the redundancy in cables. ALS genetic weakness is akin to this metaphor and genes surely play a role. However, environmental factors also play a role. And much of the ALS medical community is not adequately addressing the environmental and other factors – many are focusing almost solely on gene research and tracking statistics. Below are a few of these environmental “stressors” that have been demonstrated to spark, ignite, enhance, or contribute to ALS/MND. There is likely not one singular “cause.” However, the data is compelling that the following likely contribute to ALS progression because of the high correlation with the disease. Correlation does not equate to causation, but when correlation occurs over and over consistently around the world, we should pay attention. 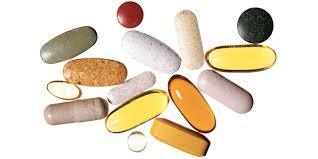 Remove or reduce every one of these enhancers, triggers, and exacerbating environmental factors as much as possible. Give my body all the nutrients/supplements needed to optimize health and to bring about homeostasis. Go aggressive on stem cell treatments, both autologous (my own) and umbilical cord, to help regrow, repair, and rebuild. In March of 2014, I was in a skiing accident where I broke my collarbone and had fifteen rib breaks. This was followed with four surgeries on my collarbone. I believe that my ALS likely started very slowly soon after this. I believe that in 2017, with super high work stress, other stresses, and many immunizations (six to eight), given to me all at one time in May of 2017, may have caused my slow moving ALS to start moving more quickly and aggressively in late 2017 through May 2018. These are just theories, not fact. Of course, all of these factors do build on overall weaknesses or defects in genes such as the C9ORF72, SOD1, NEK1, TDP43, FUS, UBQLN2 (note that these genetic weaknesses are more associated with familial ALS rather than sporadic). Between January 2018 and July 2018, I lost between 10% and 33% of my upper body strength (depending on the muscle group), as measured by my consistent weight lifting program at the gym, which I have done regularly for many years. I also atrophied a lot in my left tricep and left forearm and some in the right tricep and I lost some hand grip strength (estimated at 15% loss). I have not yet lost any material function. Switching analogies, imagine one’s DNA to be like a skyscraper with a wrecking ball hitting it. In the beginning, the wrecking ball is pounding into the side of the building, breaking only the siding. As the pounding grows more intense, it begins to destroy the core structure of the building. I theorized that if stem cells are applied, they may repair, build, grow, and encourage other cells in the body to grow and repair. But I was confident that the wrecking ball would remain, and if not removed, reduced or slowed down, then the destruction would continue. 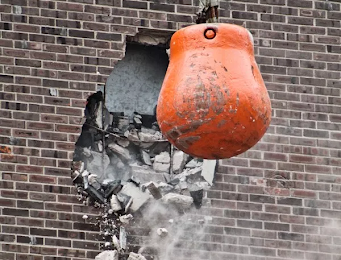 Thus I believed, in addition to stem cells, I needed to work on shrinking the power of the wrecking ball. All the factors listed above that might have contributed to the trigger, onset, and progression of my ALS needed to be addressed. Thus I changed my diet to Vegan, little to no sugar, no dairy, low carbs, and very high amounts of organic fruits and vegetables. I did many detoxing protocols. I removed or reduced most of my mental stress. I had a lot of blood work done and checked for parasites, bacteria, and protozoa. 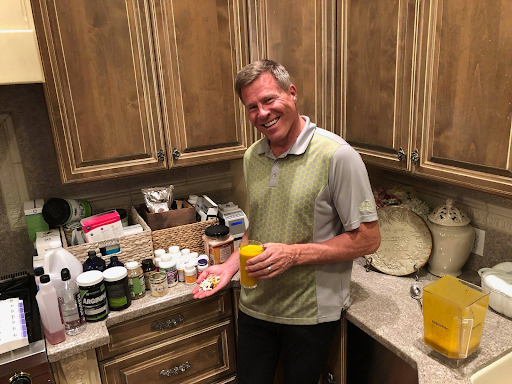 I added many daily supplements to give my body all the support and tools it needs to help repair the metaphorical building and combat the ALS wrecking ball. My theory is that all of these things will shrink and/or slow the ALS wrecking ball. I learned from those who have gone before, including from clinical trials not yet approved as drugs, yet showing positive results. 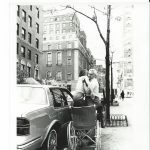 I learned from ALS patients who lived dramatically longer than others. I borrowed learnings from other ALS patients who experienced reversals. And I tried to improve upon clinical trials that showed benefit. After all, I could make decisions for myself in hours (compared to many years or decades for clinical trial approvals) as I was my own researcher, prescriber, financier, as well as the guinea pig. Given that I was told I had 1½ to 3½ years to live, I was willing to take more risk than normal. I immediately started taking supplements that were herb-based, and which showed some hope of benefit. With other supplements or drugs, I would run them by at least one doctor and a neurologist to ensure that there were no material chemical, toxic, or interactive risks. My supplement list grew to over 60 pills, oils, and powders—taken both morning and evening. All of this was based on my studies of some 27,000 plus pages of research. For awhile, it was thought that I might have Lyme Disease and Babesia, in addition to ALS/MND. A friend introduced me to the leading Utah Lyme and infectious disease doctor, Andrew Petersen. He suggested Ozone IV, Vitamin IV, and IV antibiotics, which I did at his clinic. Later, blood work came back suggesting that I likely did not have Lyme. I then ceased the IV antibiotics but I continued with the IV Vitamins and Ozone. Note, as mentioned previously, that there is much evidence that many ALS patients have Lyme, Bartonella and various protozoa and that ALS may be ignited/sparked or exacerbated by such. Additional blood tests in December of 2018 suggest that I do have Bartonella and/or Babesia so I have continued to treat for such. Stress reduction in life. I ceased running a company and ceased investing in new ventures. Diet: Vegan. No milk, cheese, or dairy. Little to no sugar. Low carbs and grains. Low fat. 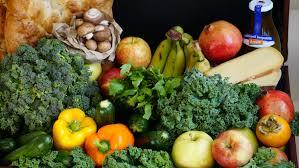 Very high vegetables and fruits. No processed foods. Regular weight lifting exercise of about 60 minutes per day, five days per week. Three hours of cardio weekly. Very positive attitude and a belief that I can beat ALS! Placebo does work. Our brain’s belief accounts for a very large portion of improvement in anything. Recent studies suggest that placebo may account for 50% of a drug’s efficacy. Belief is a massive part of the equation. There is a lot of research going on with stem cells. It is largely unproven as to what works and exactly how it works. But there is plenty of data suggesting benefits with autoimmune disorders, including ALS. The most persuasive (with positive short term outcomes) clinical trials for ALS used autologous stem cells, injected intrathecally (lumbar puncture). In some trials, the majority of participants had at least short term partial paralysis reversal. In one phase II clinical trial, 36 ALS patients received autologous stem cells and experienced at least short term paralysis reversal. I did not qualify for their phase III clinical trial due to my already having had stem cells. And I also did not want a 50/50 chance of placebo. So I embarked on learning from their clinical trial and from multiple other trials. And I learned from stem cell experts and have tried to improve upon these trials where I could. I researched more than twenty stem cell clinics around the world. Prior to choosing one, my functional medicine doctor referred me to a stem cell expert. He is not an ALS specialist but he is a world class stem cell expert. We discussed how we could improve on the clinical trials and reach the brain from two modalities, rather than only one (spinal fluid injection). He suggested running a catheter from the arm to the carotid artery. There was some increased stroke risk with this, but this would give the brain a high dose of autologous stem cells through the blood system in addition to the lumbar puncture/spine system. Thus a 1-2 punch. He recommended a stem cell clinic in Guadalajara and after researching further, I ended up choosing that clinic (Sential) over the other twenty. Do more stem cells to compensate for the lack of differentiation. I inject 50M to 60M per intrathecal injection via a lumbar puncture. More frequency. They do this quarterly. I did it monthly for four consecutive months, then moved to every other month. They injected only into the spinal system. I had 150 million stem cells also injected via the blood system, through the catheter running to the carotid artery. Thus my brain received the stem cells through the blood system as well as the spinal system. After the second treatment, I was noticing significant improvement in regaining muscle strength and in reduced muscle cramps. 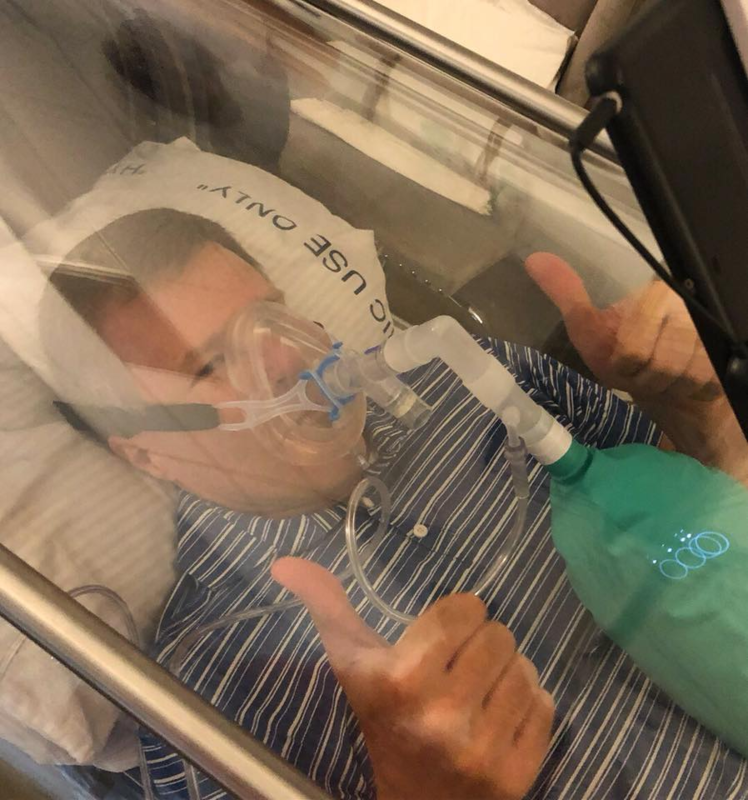 After my short term ALS reversal, and with the encouragement of an ALS doctor and an ALS researcher, I curtailed the carotid artery injection and replaced the same with an IV injection (which is much safer, but does not reach the brain nearly as well). However, if I decline in the future, I will return to the carotid artery injection. Umbilical cord stem cells. On the third and fourth treatments, I added 200 million umbilical cord stem cells to my regime by IV, coupled with autologous stem cells through the lumbar puncture. Umbilical cord stem cells injected into my atrophied left tricep. My belief is these additions to existing clinical trials have given me a much higher chance of slowing down or stopping my ALS progression and also healing my motor neurons. After the stem cell protocol and all the other treatments and supplements in my protocol, between July and October, 2018 my upper body strength improved considerably, rather than degrade. During this time, my weight lifting strength at the gym fully returned. And by the end of October I was lifting the same level of weights (or more) than I was when the fasciculations began in November of 2017. I had regained all the muscle strength that I had lost (10% to 33% in the upper body) in my standard weight lifting exercises. I still have considerable atrophy in my left tricep. And that single muscle has not fully recovered yet. Even my hand grip strength has returned. Traditional ALS medicine suggests that muscle strength recovery is not supposed to be possible with ALS. Progression of motor neuron loss is also supposed to be constant in ALS. In late October, I met twice with Dr. Richard Bedlack of Duke University. Dr. Bedlack is a top ALS alternative treatment researcher and doctor in the United States. He noted that is very, very rare to have such an improvement in muscle strength. He thus questioned whether I actually had ALS. At our first visit, he thought it possible that I might have something else, such as MMN (Multifocal Motor Neuropathy) or BFS (Benign Fasciculation Syndrome). 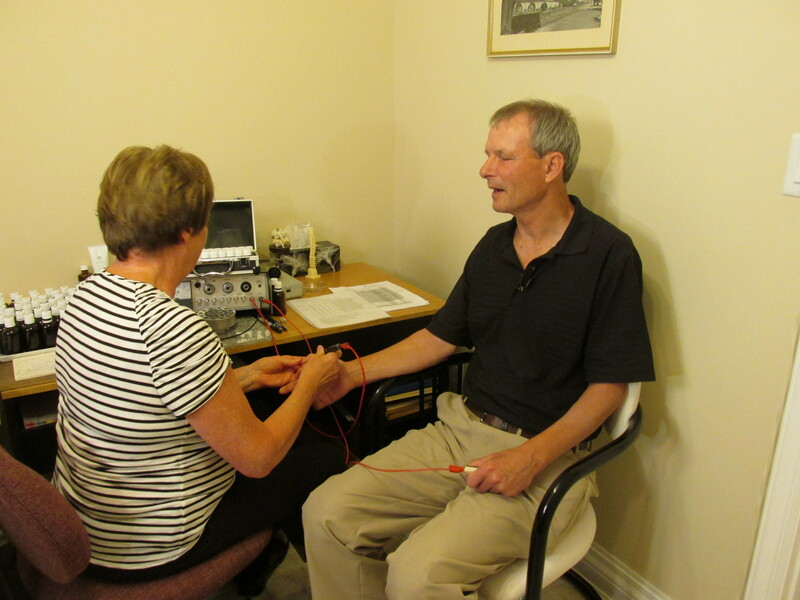 So he did another EMG to disprove or confirm the ALS diagnosis. A couple of days later we had a video call and he confirmed that I do have ALS/ Motor Neuron Disease (with large death of motor neurons). However, in each of the same four muscles/nerves that were tested 5 months prior with the EMG and retested by Dr. Bedlack, things had improved (reversed in severity) rather than progressed in degradation. Again, this is not supposed to be possible with ALS, but it happened with me. There have been 40 cases of confirmed ALS reversals. Dr. Bedlack thinks I could possibly be #41 and that I could be experiencing an ALS reversal. Something, or a combination of things more likely, in my extensive regime could be curing me or least stopping the progression of my ALS. Dr. Bedlack said that perhaps “you stumbled onto a cure.” Also, it could just be random—I could have gotten lucky and for some reason it stopped. Luck is not very likely. The regimen/protocol is very likely causing my outcome. Dr. Bedlack said that he has never seen this large and aggressive of a protocol with any patient or anyone whom he has studied. Due to this amazing improvement, I have, as I mentioned previously, cut out the carotid artery stem cell injections (which is risky—risk of stroke, etc.). Why am I continuing with stem cell and other treatments? Because my ALS may not be fully stopped yet. I still have fasciculations and cramps and some muscle atrophy. It is possible that my motor neuron death has fully stopped or it may just have slowed down considerably. It could resume. We just don’t know. The reversal that I’ve experienced could be short lived and things could continue to progress downward again. Thus, I will continue my protocol and very slowly wean myself off of a few of the treatments, one at a time. But I’ll continue to eat healthy, live very healthy, and proceed with my protocol—to avoid the risk of progression starting again. Due to my current reversal, I’m now treating every 60 days with stem cells. If I continue to improve, I’ll move to every 90 days, etc. If the ALS progresses in any way, I’ll revert to every 30 days for stem cell treatments. I’m not fully out of the woods here. My protocol could have simply moved things to an extremely slow progression with a short term transient reversal. However, the November 2018 EMG demonstrated significant improvement on all 4 muscles/nerves as compared to the two EMGs done five months prior. That is huge and is not supposed to be possible by traditional medical standards. My family and I are overwhelmed and excited with this news. Note, however, that no two ALS patients are the same. Every one of us has unique DNA and ALS strikes every patient differently. Hopefully we can learn from this protocol and it can help others. In summary, I do not believe that only ONE thing is likely going to cure my ALS or the ALS of others. The FDA and big pharma double blind study method may likely be flawed in its premise in this case. Sure, there is huge benefit to figure out which single item is providing the benefit, and thus a double blind method along with isolation of the one thing makes a lot of sense. 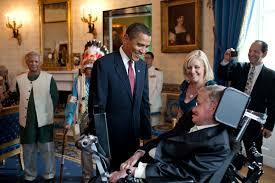 But I believe that with my ALS, a holistic collection and application of many things is key. Getting the body and mind into homeostasis, detoxing, healthy diet, positive attitude, and stem cells, all combined may bring about the slowing of the progression and aide in the cure for ALS. I want to thank everyone who has helped me. So many people have offered input, advise, learnings,suggestions, etc. So many doctors and researchers and clinicians have been very helpful. And many other people with ALS have given great advice. I’ve simply gathered all the learnings from all the research, studies, and clinical trials, and coupled such with learnings from related autoimmune disorders, plus applied good health practice, and developed a regime/protocol that is working. I hope this regime/protocol can and will help other people with this insidious disease. Healing ALS Project Update. We have been working on the Healing ALS book and documentary (now docuseries) while working full time at other jobs most of the time so it has been a slow process. Recently, because of two amazing donors, we are getting close! As long as we get the remainder of our funding we can publish both the Healing ALS book and docuseries in 2019. Please help make this possible by clicking the Donate button at right. For PALS: You have, today, all the tools you need to heal ALS. If you have been diagnosed with ALS, you do not need the book and docuseries to heal. There is enough information on the Healing ALS website now, today, enabling you to heal ALS, when combined with your own research, with consultation from holistic professionals and daily application of what you have learned. The basic principles are in the “Where do I start?” document (click green For PALS/FALS button at right). 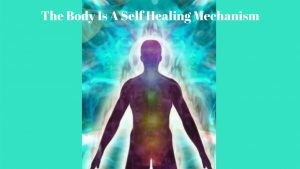 Once you have read all the links under the video on the home page, all the blogs, all the articles in the members section, read Eric Edney’s book Eric is Winning, consult Shackel.org and ALSwinners.com, done research on your own and consult with holistic practitioners in your area you will have what you need to heal physically. The principles are what every holistic medical practitioner knows and Eric Edney said almost 20 years ago in the first edition of his book: 1) nutrition and supplements, 2) eliminate toxins and detoxification and 3) positive mental attitude. It is not easy to heal ALS. 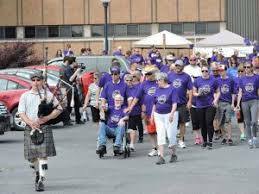 If it were easy everyone would do it, and we would be having tens of thousands of ALS reversals instead of hundreds. We believe we can have those tens of thousands as more PALS believe it is possible and do the work that is required. It takes work, determination and persistence to change your diet and lifestyle, find a functional medical expert to assist you, and do your own research to decide which supplements, diet and detoxification methods make sense to you. It takes work, determination and persistence to change your mental attitude so that physical healing can occur. You have to listen to your body and learn intuition. For example, if you take something your holistic professional suggests and you know instinctively it is not good for your body, then you need to have the courage to stop and work with your practitioner to find an alternative. If he or she is not willing to work with you, it takes determination and courage to find another holistic practitioner. 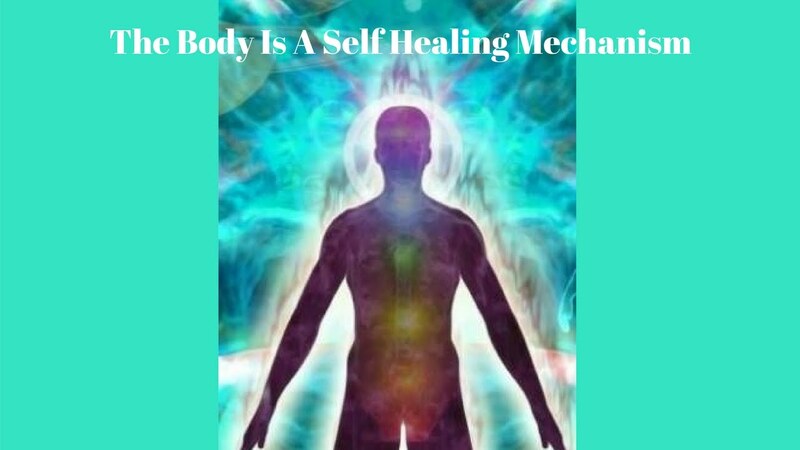 re-read Evy McDonald’s link on the home page of HealingALS.org and also read the blogs about the other people, read the blogs about those below and check out the 2019 live event link at the bottom of this blog. Evy McDonald healed by changing her thoughts. 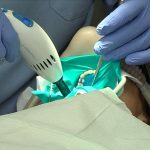 She did not make significant changes to her diet, although she did have her amalgam dental fillings removed safely and ate wholesome meals prepared from scratch at home. Donald Jeager and Wendy McClean healed through prayer, in other words, by changing their thoughts. Wendy also had her amalgams removed. Charles Goodman was a strong young man in college, changed the direction of his life towards ministry to serve God and he healed. In other words, he changed his thoughts. Zhiyuan Wang started using a meditation practice called Falun Dafa and his ALS slowly healed. In other words, he changed his thoughts. Ben Johnson started doing the Healing Codes, i.e. he changed his thinking. All of the above people have completely healed from ALS using thoughts and prayers alone. The other PALS who have healed both changed their thoughts and added things to physically heal. Remember changing your thoughts goes hand in hand with changing your emotions. If most of the time you are experiencing positive thoughts and emotions, your body can heal. If you are experiencing negative emotions a significant amount of time your body cannot heal. This is scientifically proven fact. The cellular energy system simply does not work under stress or negative emotions. Between a quarter and a third of all PALS who have successfully reversed ALS have done so through thought alone. In one hundred percent of PALS who have successfully reversed ALS, changing thoughts and emotions played a major role. There are a staggering number of peer-reviewed scientific research confirming the importance of thoughts and emotions in healing. Yet doctors, even functional/holistic doctors largely dismiss it and focus on the physical. How do you change your thoughts and emotions to positive ones so the body can heal? There are many methods in addition to those used by the PALS above. To help PALS more recently diagnosed to attend to our first Healing ALS Live Event(s), in 2019. September – October (to be announced), 2019 Salt Lake City, Utah, USA. Our very first Healing ALS Live Event. ALL PALS who are truly interested in Healing ALS holistically are invited to attend along with support team members: family, friends and caregivers. This event will be wheelchair accessible. For more details about the 2019 Healing ALS Live Event, please click here or go to https://healingals.org/2019-healing-als-live-event-invitation/. You must be a Healing ALS member to read this document (membership is free). 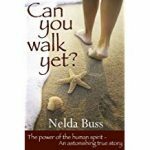 Nelda Buss was diagnosed with ALS in January 1985 at the age of 43. She wrote a book about her experience called “Can You Walk Yet” available on Amazon (see below). Her ALS progression was fast-moving. Not long after her diagnosis her son and daughter-in-law moved home full time to help care for her. 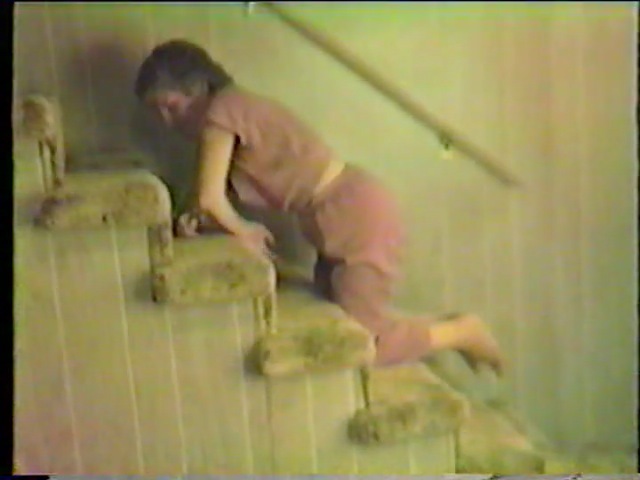 By November 1985, Nelda was unable to move from the neck down on her own. 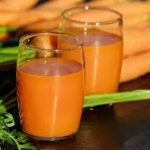 In her first 11 months of ALS progression, Nelda tried a number of alternative therapies including B12 shots, diet changes, vitamins and copious amounts of carrot juice (the latter did not help). Members of their church prayed for her. Nothing seemed to slow her progression. Nelda was typing one letter at a time on her keyboard with a pencil in her mouth. In late 1985, a friend dropped off a magazine that had an article about psychic healing. The article referred to two healers. Soon after, they went to visit one healer in Baltimore at a church prayer service only to find that the healer had died. The other healer was in New York city, ten hours away by car. Nelda called and set up an appointment with the second healer for an upcoming weekend. The healer’s wife explained energy healing and sent her husband’s biography. On the way to that first appointment, Nelda wondered if they were on a wild goose chase. There was no guarantee of success, the trip was long and the treatments were relatively expensive. Nelda was determined to give it a try. She needed both her husband and son on the six hour trip. One drove and the other moved her periodically in the back seat so the drive was bearable. Her husband had to leave work early on Friday to make the Saturday appointment. The first trip to New York consisted of three treatments over Saturday and Sunday. After the treatments, Nelda felt an improvement in her ability to cough. They made an appointment to return in two weeks for a series of four appointments over the weekend. The healer also gave Nelda meditation and visualization exercises to do at home, morning and evening. In spite of lots of negative feedback from many of her friends about what she was doing, Nelda’s family supported her. During this time she also had sleep issues trying to be comfortable with her bony frame. She needed to be turned about every 2 hours during the night, or the pain was unbearable, with little fat or muscle to protect her bones. Fortunately her husband was able to go back to sleep and still work the next day. Along with Nelda’s twice daily meditation, her son or daughter-in-law also did exercises with her every day. During the next months Nelda continued to work with the healer, enduring the discomfort of the drives. She had hope and felt that she was getting better. Accompanied by family members to assist her, she traveled to New York approximately every two weeks. Most of the time Nelda’s sister and her husband from nearby Pennsylvania would drive into New York City with them. Still, the cost of the healer, gas, food and lodging, ate into their savings. 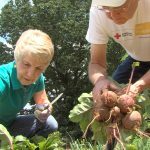 As Nelda slowly began improving, and what she was doing was obviously working, more and more skeptical friends came on board with their support. 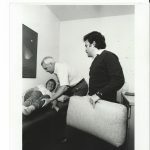 In October 1986, ten months after beginning work with the healer, she was able to stand for several seconds on her own. Soon after, with the help of a cable suspended from the ceiling, she was able to take steps with the help of a walker. 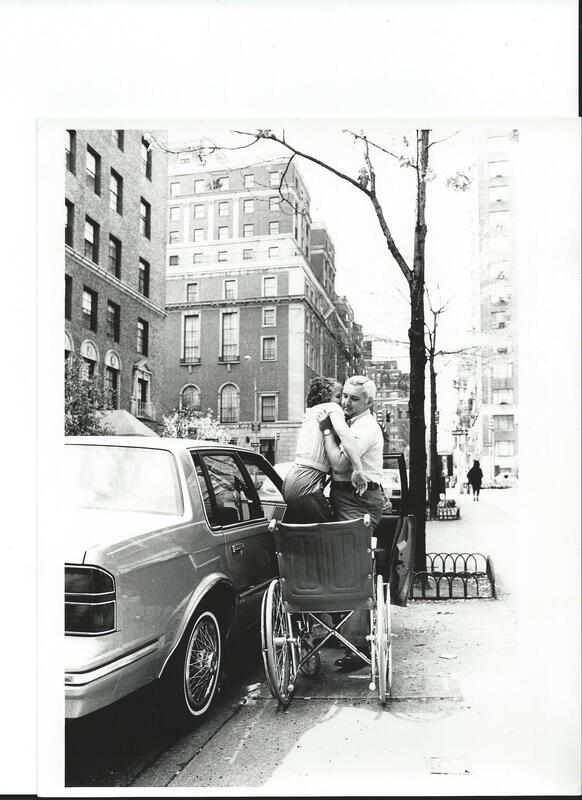 As Nelda improved, trips to New York became easier. 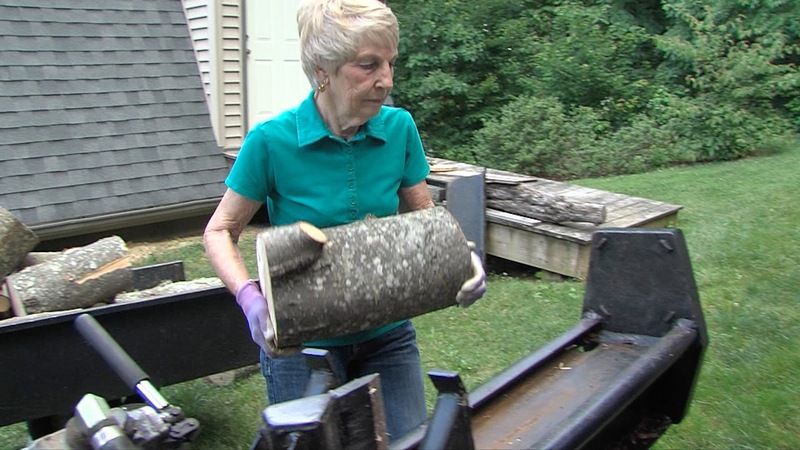 Her son could drive her without her husband missing work and their Pennsylvania relatives were also able to assist. 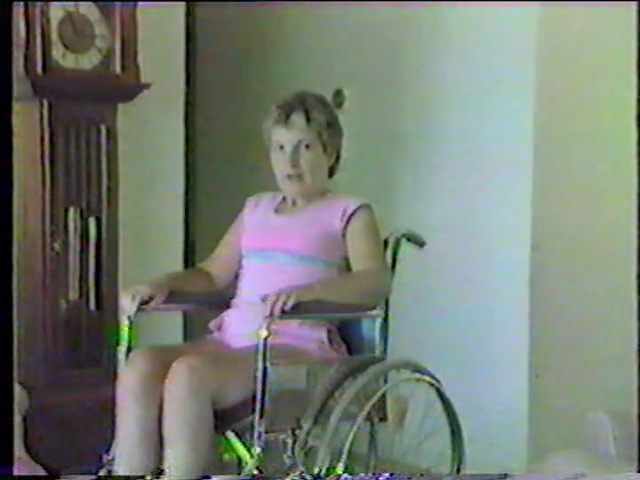 In May 1987 Nelda was able to walk supporting her own weight. She had a walking party and over 200 friends and family attended. 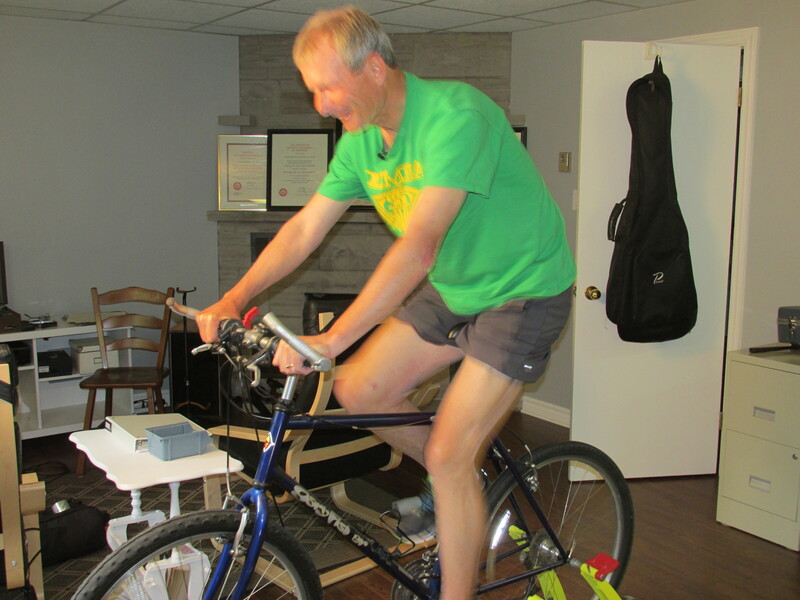 Nelda continued exercising, visualizing and meditating. By mid-1988 she was back to her pre-ALS self. 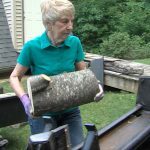 When we interviewed her in 2016, Nelda was lifting logs and working in her garden. In 2017 Nelda published a book, called “Can You Walk Yet”? around the house, grateful that after experimenting with many treatments that did not help her, she took a chance on an unproven treatment over thirty years ago. Anthony William has written a number of books. His first book I read a couple of years ago called Medical Medium. The first time I read it I questioned, “Really? ‘Spirit of the Most High’, sent by God, is this guy serious?” Then I said to myself, well, let me be open, I will read what he has to say. I care about results, not preconceived beliefs. First point of credibility: What Anthony William had to say in his book made sense and at least 80 percent agreed with what I had heard elsewhere from functional medical doctors, naturopaths and PhD’s. On top of that much of what he said rang true, both from a common sense and an intuitive perspective. Then I read Anthony William’s second book, Thyroid Healing. Since I personally have many hypothyroid symptoms I was interested. After following a paleo diet for years for a neurological issue and being happy with the results, I was unsure of this new path, but read on for Sally’s story. Second point of credibility: Sally is a friend from high school, who was diagnosed with multiple sclerosis (MS) in 2007. What do MS and ALS have in common? Between her diagnosis in 2007 and 2012 Sally experimented with diets and protocols that might help slow down her MS progression. She was eating nothing artificial, she had her mercury amalgam dental fillings removed (See blog: amalgam dangers) and was eating a very clean diet. Even with this, Sally still had significant symptoms of both MS and brain fog. 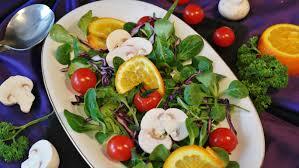 In early 2012 Sally started The Wahls Protocol for her MS symptoms. She had great results. Within six months on the protocol, Sally’s MS symptoms improved dramatically. Even more importantly the protocol eliminated her brain fog, which was significant. 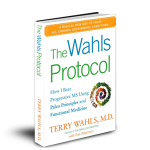 Note: The Wahls protocol is a great protocol and we know people with neurological issues, including MS, ALS and Alzheimer’s who have had success with it. 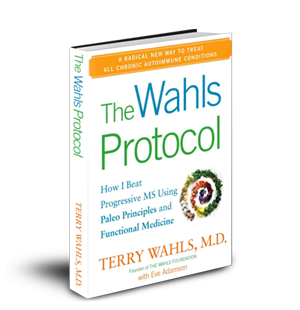 Read our blog article with more on Wahls Protocol at Wahls Protocol. 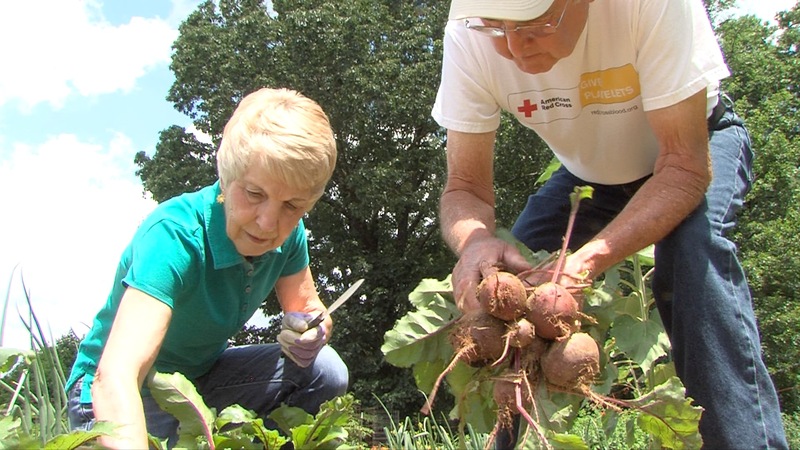 Sally had been on the Wahls protocol for almost six years and felt her symptoms had stabilized at about 90 percent better. Her balance improved to the point where she was able to again ski expert runs. She was happy but there were a few nagging symptoms that had not improved. 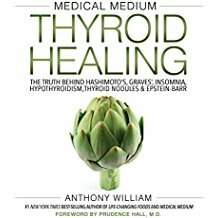 About six months ago in the fall of 2017, Sally read Anthony William’s three books (third one pictured below) and decided to try the Thyroid Healing protocol and the supplements he recommended for MS to see if she could improve on those last symptoms. 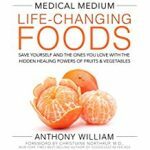 The Anthony William protocol is more strict than the Wahls protocol although there are some differences: William limits animal fats, even healthy fats and suggests more fruit, juicing and supplements. At about 10 weeks, Sally could stand on her tiptoes in yoga class (she could not hold it but could stand for a second or two)–she had not been able to do this for years. Sally can now stand on her tiptoes and hold it for quite a while. Her neuropathy is going away! She can now button her blouse without looking! This is a big deal because she had to look at the buttons before while buttoning because she could not feel her fingers. She is no longer “leaking” urine when she goes on a hike. She has fewer neurological “misfires”. Example: a bug biting her and it itches several inches away from the actual bite. The signals from the brain to the body are no longer getting crossed. Sally is excited that she has brought her healing to a new level and looks forward to even more improvement. 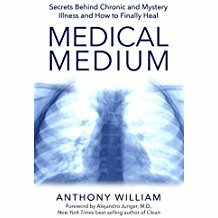 Third point of credibility: Sally is a health coach and one of her MS clients is using Anthony William’s Thyroid Healing protocol. Before he started, he was able to walk only a mile or two before his foot started dragging. Now he is on the Williams protocol and he recently hiked seven miles before his foot started dragging! Fourth point of credibility. 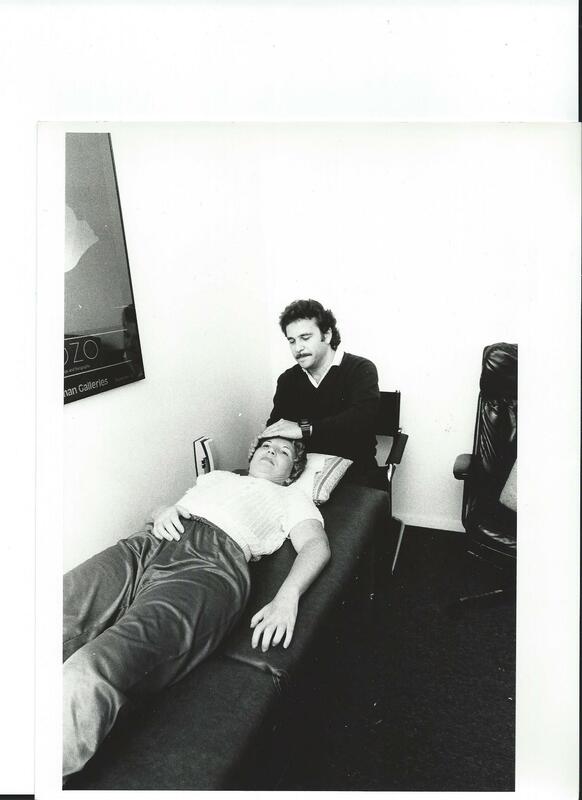 Another friend, Chris, had significant neurological and muscular symptoms including severe headaches, cognitive impairment, anxiety, severe nerve pain throughout his body, muscle cramping and muscle weakness. Lab tests showed Lyme disease in addition to babecia, bartonella, mycoplasma and a few other co-infections. 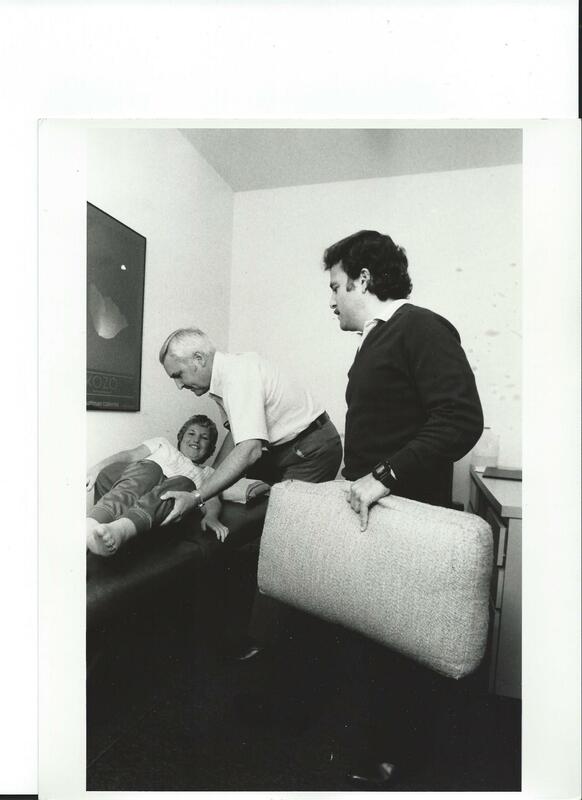 He consulted many doctors, both traditional and holistic, with no relief. 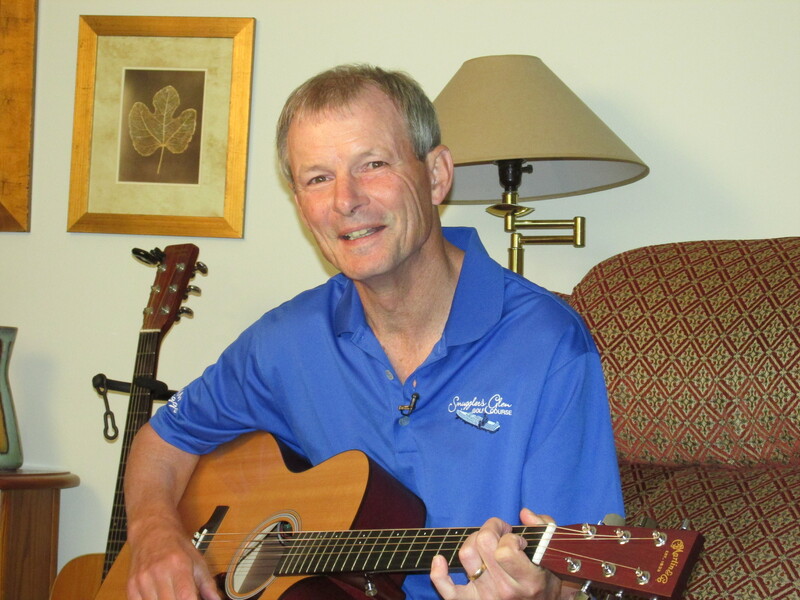 Chris’ symptoms were so severe he could no longer work and was dependent on pain medication to get through the day. About five years ago, when Anthony William was still practicing, Chris consulted with him. Anthony has helped him back to health. Chris is now able to work again, can snowboard again for short periods, and has most of his function back. 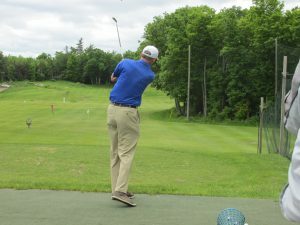 He is working his way back to being 100 percent. The more severe the symptoms, the longer it will take to heal. 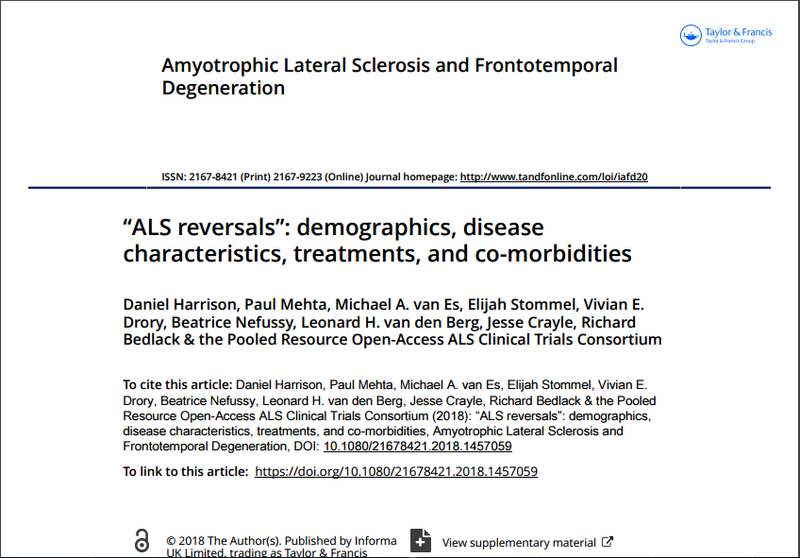 As we have seen with the many ALS reversals we have examined, there is more than one way to reverse ALS. Anthony Williams ALS protocol combined with his Thyroid Healing protocol seems to be a promising approach. Certainly, his books are worth reading. His fourth book, Liver Rescue, is coming out this fall will also be an important one since good liver function is so important for ALS recovery. We are journalists, not medical professionals. The information we share is for educational purposes and should not be treated as medical advice. Stephen Hawking, one of the greatest minds in our history, died on March 14, 2018 at the age of 76. Author of the best-selling A Brief History of Time, Hawking was a brilliant scientist, brilliant enough to be buried at Westminster Abbey! He also happened to have ALS. 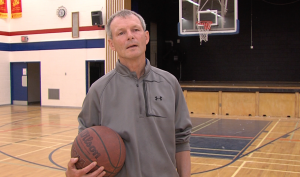 He is one of the longest survivors of an ALS diagnosis, over 50 years. Why? 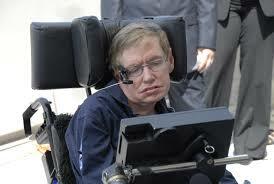 Stephen Hawking was diagnosed with ALS in 1962 at the age of 21 and was told he would die within a year. 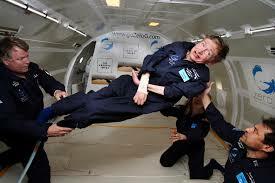 Hawking could have believed his doctors. He could have stopped living, enjoyed the last year of his life the best he could and then could have died quietly. Instead Stephen decided to live every moment he had left to the fullest. He decided to get married. He decided to complete his PhD. He decided to have a family and fathered three children. He decided to be as brilliant at his career as he could. 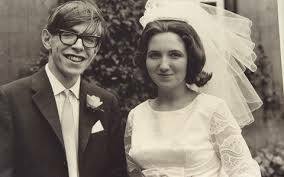 After he got his PhD Hawking continued his life and his career and supported his family, not letting anything get in his way. When he could no longer speak he found a voice box with a computer-generated voice. He figured out a way to communicate with the only finger he could move and eventually with his head. He continued to learn, read, formulate ideas, and theorize. He wrote papers, and books and gave speeches. When he had a problem, he found a way to solve it. 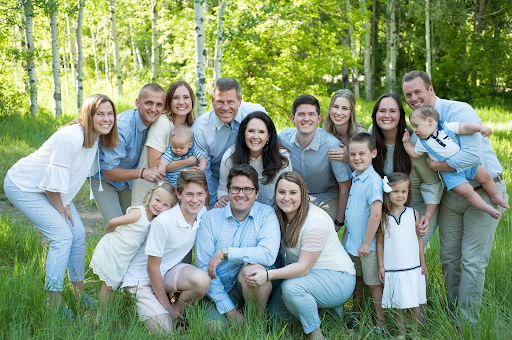 He and his wife found a way to take the family to Spain on vacation, despite ALS. He found a way to painstakingly write books and papers. He found a way to travel. Did he have a slow progressing form of ALS or did the way he lived his life cause his ALS to be slow progressing? Please read or re-read the October 2017 blog on the mental and emotional side of Healing ALS. We have personally met and interviewed over 20 people who have reversed ALS. We know that mental attitude and emotions play a very large role in how fast ALS can be slowed, stopped and reversed. 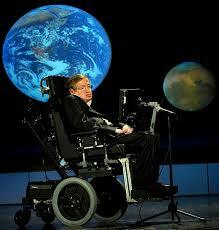 We believe the way Stephen Hawking chose to live his life slowed his ALS disease progression. 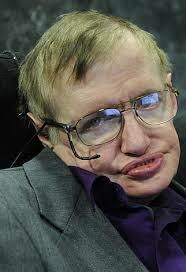 Kudos to you Stephen Hawking. You lived a full life, fuller than most totally healthy people. You didn’t give up. You overcame all obstacles to live the best life you could. You can go to the other side knowing you did your part, you made a positive impact with your life, all after you were diagnosed with ALS. You made a life, you helped your children grow into healthy adults, and you made enough of a contribution to be honored in Westminster Abbey and your ashes buried near Sir Isaac Newton. Wow. I have learned thru my own research that I have entered into a stage of electromagnetic hypersensitivity (EHS) where I am very sensitive to EMF (Electromagnetic Fields) radiation. My question became whether my present condition of ALS was induced by EMF exposure. I honestly know that it has. So, as you read the following, my prayer is that you will be convinced that EMFs are affecting us all in a negative, biological way, to the point where you will do your own research and become an active voice in a sleeping generation where many of us are living in a sea of radiation. devices e.g. cell phones, Wi-Fi etc. The latter, non-ionizing, is my greatest concern as it effects, not only PALS (People with ALS), but all illnesses including those who are presently in good health. An even greater concern is who is protecting us from the level of exposure in which we are surrounded by 24 hours a day? The FCC (Federal Communications Commission) has not updated their standards since 1996 or 1998 depending upon which source you are reading. 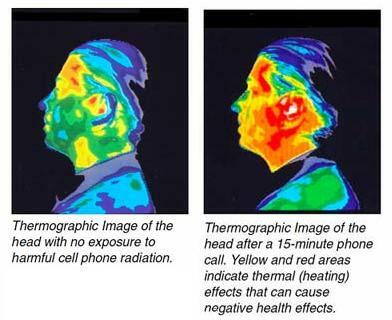 here is a brief description: EMF (electromagnetic frequencies or fields) is an ionizing type radiation. It is invisible and odorless and cannot be readily detected like cigarette smoke or gas from your gas lines. 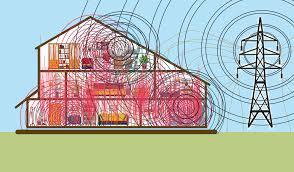 EMFs are emitted thru cell phones, Wi-Fi, tablets, laptops and smart meters, to mention a few. There are two types of EMFs: Radio frequency (RF) and extremely low frequency (ELF). On the surface, RFs and ELFs appear non invasive when it comes to health related concerns which may have been true 30-40 years ago. But today, our environment has increasingly become well saturated with EMF radiation, rising exponentially, with stronger signals nestled in an avalanche of newer and upgraded devices. 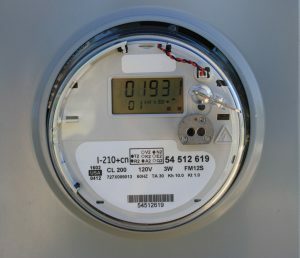 electric, gas and water meters. Our meters are now being swiftly replaced by ‘smart meters’ that emit an alarming level of radiation. I called my electric utility company where I was informed that my neighborhood is slated for installation this Spring 2018. I have requested that mine not be installed. The data emitted, according to some reports, emits up to thousands of signals a day, where each pulse could last anywhere from minutes up to hours per day. Then add that to power lines, all your in home technical devices,, electricity running thru your homes and appliances which all emit EMFs. 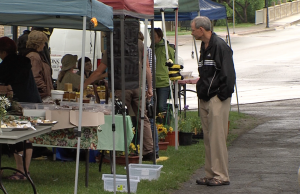 Additional concerns are expressed in this documentary posted by Dr. Mercola. The entire video is a must see for it reveals other alarming issues surrounding smart meters. 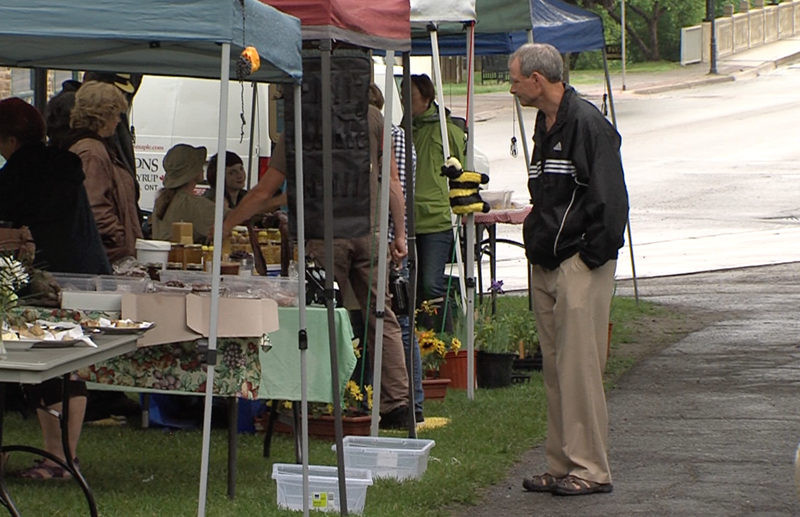 You can fast forward to 40:00 where the discussion focuses on severe health issues surrounding the smart meter. https://articles.mercola.com/sites/articles/archive/2017/08/05/smart-meter-dangers.aspx Hopefully, this reading will cause you to examine your homes, your schools, your offices and research your own findings and take the necessary action to protect yourselves. On this New Years Eve, as I type, my laptop has protective covering; I’m using a wired keyboard and mouse; I am covered with protective layers of fabrics including specialized gloves and I am grounded with wiring running to the outside thru my window to a grounding peg. I am typing in a 4’ x 6’ area in my home where the RFs meter readings are registering safe. You may say to yourself, that’s extreme! Not when you are trying to save your life. 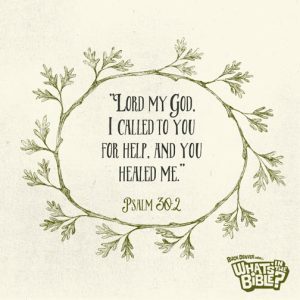 An individual once said to me, ‘I’m going to pray for a miracle that you will be healed’. I said, “that’s nice but my joy would be that I recover in such a way that I can share with other PALS (People with ALS) the protocol that led me to that victory.” You see, I believe we are fearfully and wonderfully made. Our bodies are designed to heal on its own once the obstacles are removed (including disbelief) and we replenish what is lacking. How many times have we cut our finger and before our very eyes, in a matter of a few days… it heals! We have no lingering thoughts during those few days of “I wonder if it will heal” for we go about our daily lives and soon the wound heals. Our bodies are incredibly made and because the solution to this illness isn’t so apparent as a finger cut, I believe it carries the same principle. 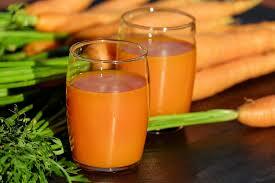 We must believe, remove anything hindering its recovery whether its GERD, toxins, stress etc. and then apply a ‘balm’ whether it’s supplements, meditation, organic eating, relaxation, ozone therapy, oxygen therapy etc. I was diagnosed, out of town, with ALS, nearly 5 years ago with the onset of symptoms well before then. According to many PALS, including myself, the same mantra is bestowed by our neurologist: ‘There is no hope, but here is a prescription of Rilutek’ available to you. I accepted neither. There were no tears. I just smiled. I finally knew what I was facing. 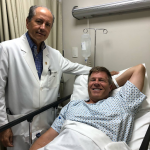 I felt I had been prepared for a moment such as this, for in years prior I had avoided a repeat surgery by applying the same principle. My symptoms went away, never to return again. scooter, when suddenly my head bowed down without explanation. My chin was down to my chest and it was as if a hand was on the back of my head pressing it downwardly. With all my might, I couldn’t lift it up. I was frightened, but at the same time trying to assess the situation. I thought, Oh God, is this yet another ALS interval of decline? In my experience thus far, there is a warning before a muscle weakens. There are preludes of fasciculations, cramping and soreness, but not this time. 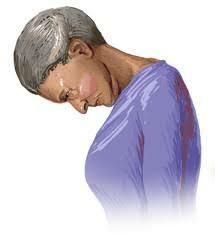 I had not yet experienced fasciculations, cramping nor soreness around my shoulder, neck or upper back. I continued travelling towards the hallway. Upon entering, my head miraculously lifted up with ease into its normal position. A relief came over me, but I was still puzzled over what had just happened. Through my research, I was already suspicious of the amount of radiation being emitted from my modems/routers. Upon this encounter, I immediately purchased a RF radiation meter which revealed that the hallway area (that released my locked head position), and another small area (4’ x 6’) were the only safe zones in my home. All other areas signaled yellow or red. The RF meter has green, yellow and red light signals as traffic lights where yellow is cautious and red is high alert (stop!). Around that same time, I was captivated by yet another observation while typing on my laptop. I noticed a pull and a heaviness in my left arm similar to the previous incident and a weakness to a point where I immediately closed down the laptop. I had always felt a tingling/prickly sensation while typing, but not where the arm and finger (pinky) became disabled momentarily. This left arm had already shown signs of gradual weakness. I hard-wired (Ethernet) my computer thinking this would eliminate all Wi-Fi RF activity. No, it didn’t. According to my RF meter, there was an additional red zone signal emitting exactly every 60 seconds, letting me know there was a strong signal of radiation. 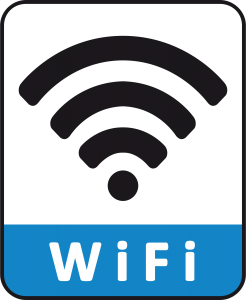 I remembered reading about an individual who discovered a second Wi-Fi signal in his laptop and had a hard time convincing the company from which he purchased it, that it existed. I called the company where I purchased my laptop and shared my dilemma. They sent a well informed tech to my home where he went behind the scenes (instead of thru Microsoft Windows) and removed the signal thru bios. gave a red alert signal. I later found out these modems are being constantly upgraded with stronger and stronger signals (more RFs) and modems are replaced in our homes whenever the cable company (in my case) had an opportunity. I tried purchasing an older model from them, but they are no longer available which causes me to ask myself, are we creating a situation of no return where low radiation modems will not be available? RF meter readings were checked throughout my home including the attic which registered ‘yellow’ for caution. We were quite puzzled for I thought I was only facing modem and computer issues. The meter was then taken outside for a reading, I was floored. The reading was still at the same level. Whether it was being generated by smart meters, power lines or the Wi-Fi black boxes that are now strategically being installed by cable providers on telephone polls to emit an even stronger signal, I don’t know. My brother took the meter to his home, which is out in the county, and he found it refreshing to see only ‘green’ registering outside of his home. Inside, however, only his modems registered the same as mine…. with a red alert. The rest of his home registered ‘green’. coming from my extended keyboard. I can feel the difference. They are comfortable, tight fitting and does not interfere with my typing proficiency as I thought they might. Even though the verdict is still out as to what degree grounding is beneficial to PALS, I like the soothing effect it generates thru me over a period of time and thus I deem it as a ‘balm’. I believe the two documentaries, “Grounded” and “Free to Heal’, are beautifully and professionally made documentaries that should be viewed by everyone and available at every school; in every library and every home. For my cell phone, I purchased a “SafeSleeve” from Amazon which has a good rating thru Consumer Guide, but I still feel quite a bit of radiation emitting from it. The RF meter, window and computer shields were purchased from lessemf.com. We were not successful in lowering the RF meter readings with the window shielding. I am learning unless you are able to seal every possible entrance, including upper and lower levels, crawl spaces or any opening for that matter, it’s an almost impossible task. I did use some of the window shielding to cover my computer monitors and it was very effective. The RF meter can be seen demonstrated by Ce Ce Doucette,­­­­ a leading spokesperson on protecting and alerting us on the dangers of wi-fi. 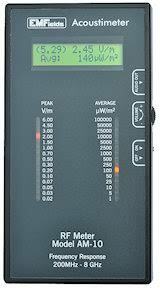 In the video you will see her using the same RF meter (Acoustimeter) I purchased. I encourage all to view all of her videos on YouTube. For she is well informed, well articulated and a true activist. As you see, I’m very much in the infant stage of trying to mitigate the exposure I am experiencing. I have many questions unanswered. If it accelerates the decline of ALS, then to what extent is it having on the most fragile of our society, the unborn fetus where unsuspected mothers to be often rest their laptops or cell phones nearby within inches of their precious cargo; or no sooner they are out of the wound are enveloped with wireless devices including baby monitors? Back in 2003, Pub Med published the effect of EMFs on ALS stating there is a need for research. https://www.ncbi.nlm.nih.gov/pubmed/12541277 In the past 15 years, how much research has there been? I’m still searching with disappointment. My ALS journey has been one of awe in discovering that there is so much information that has been documented that could truly help us but it’s up to us PALS and small ALS organizations to find it on our own. Then there are obstacles that scream to be researched, but are not. According to Dr. Bedlack of Duke University, our leading ALS physician/researcher, has uncovered at least 34 reversals and Health Advocates Worldwide has an upcoming book on ALS reversals, with little funding. where the brain activity is clearly altered. Isn’t this a direct correlation to ALS where the hallmark of this illness is of a neurological decline? ○ Wi-Fi has been banned at Lakehead University in Canada. 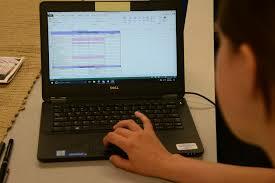 The French National Assembly has banned Wi-Fi at all children facilities that caters to three year olds and under. The Elementary Teachers Federation of Ontario representing 76,000 teachers has requested a cease of all wireless devices. Knowledge is powerful. Collectively, we are powerful. Please feel free to communicate and share your findings, ultimately finding our way closer and closer to…. healing ALS.